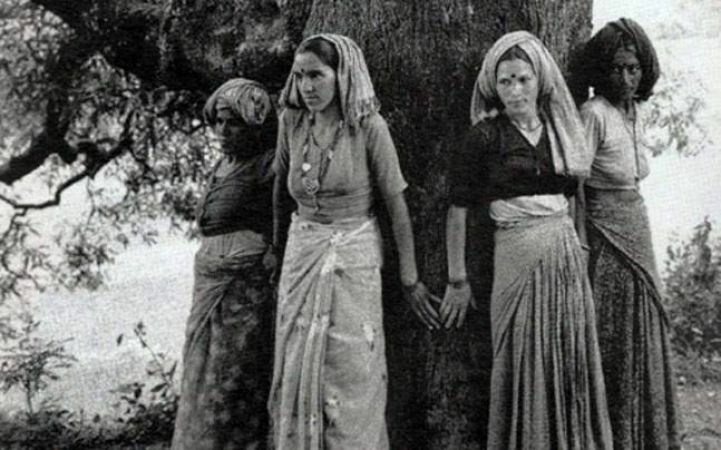 Musings 'n scribblings of a philanthrope .. : Amrita Devi Bishnoi and the Chipko movement .. It was in 1730 AD that Amrita Devi Bishnoi along with her three daughters embraced trees and were killed by the soldiers of King Ajay Singh who was ruling the Jodhpur area in Rajasthan. 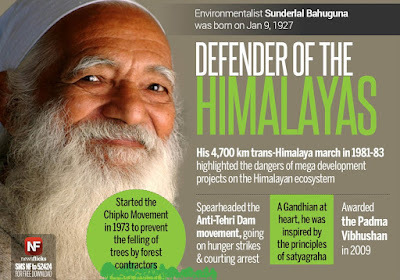 It was the first environmental protection agitation in recorded history in India. 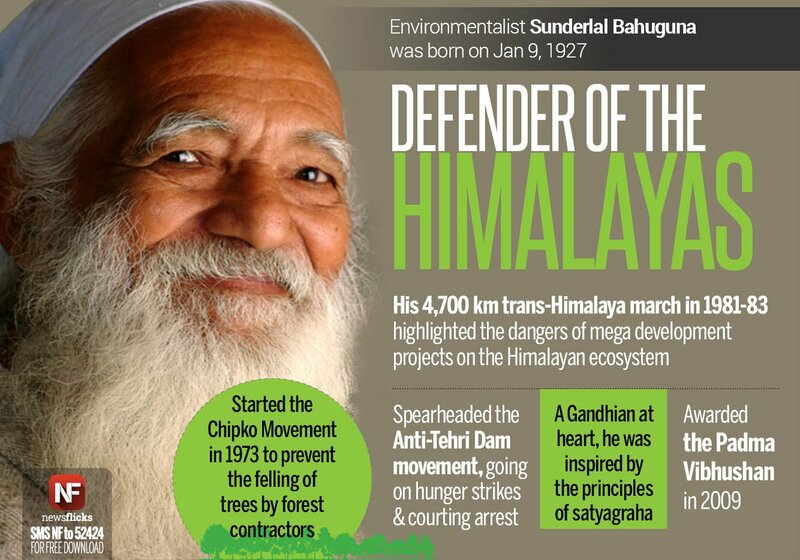 Later on this agitation spread across India and in 1973 reflected as the Chipko movement started by Sunderlal Bahuguna, a known Gandhian, which started in Uttar Pradesh. The landslides around the area in Northern UP were recognised as due to massive cutting of trees upstream in the valley. To prevent the trees from being cut, village women embraced trees in the Alakananda valley, now Uttarakhand, to prevent them from being cut down by contractors who wanted to clear the forest to enable rapid industrialisation of the country post independence. The heroics of the women of Bishnoi village in Rajasthan in 1730 AD and from the Alakananda valley in UP in 1973 April, led to the GOI formulating the environment policy. The country now as of 2017, can boast of an effective forest cover of about 21.5% of land area, thanks to the selfless service of these women from 200 years back and as late as 45 years back who gave their lives to protect the environment. 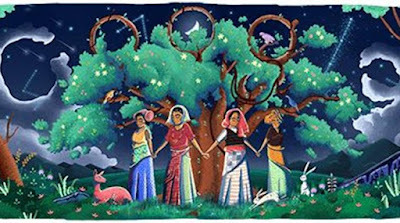 Let us not forget that these women were ready to give their lives when the people were not properly informed and educated of the significance of trees in helping the eco-system to survive and prosper. On this day 45 years back in UP and 300 years back in Rajasthan, let us not forget the heroics of our ancestors to protect trees. We inherit such a great environment protection reputation and let us preserve it with our whole might and soul.